Members, have you or another member been in the news recently regarding professional responsibility or legal ethics? If so, APRL wants to recognize its members on the website. Please email us the recently published article or summary of the news-related appearance and attach the article, video or link so that other members can view it. 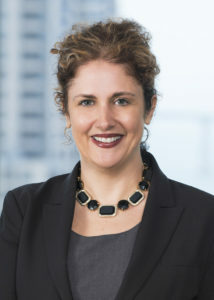 APRL Member Heather Rosing has been elected President of the California Bar Foundation. CBF is the center of philanthropy for California’s legal community, and is the state’s largest scholarship resource for diverse law students. Ms. Rosing is a tireless advocate for promoting diversity and serving the underrepresented. June 2016: APRL member and past president Lucian Pera elected President of the Tennessee Bar Association for 2017. On May 18 in Washington, D.C., APRL members James McCauley, Hope Todd, and Daniel Schumack will present “Staying Virtuous in the Virtual World: Social Media and the Ethical Lawyer.” This 2 hour continuing education program is sponsored by the Federal Communications Bar Association. In July, the Minnesota Lawyer reported that Chuck Lundberg will assume the presidency of APRL for 2014-2015. APRL member David Atkins was quoted in an article in the Connecticut Law Tribune concerning a proposed change to Connecticut’s Rules of Professional Conduct that would permit lawyers and law firms to take advantage of Internet services to attract clients. David had represented several Connecticut lawyers who were charged but not sanctioned under the current rule. Elizabeth (Beth) Alston has beenrepeatedly quoted in the ABA/BNA Lawyers’ Manual on Professional Conduct during the First Amendment fight over Louisiana’s restrictive new lawyer advertising rules.